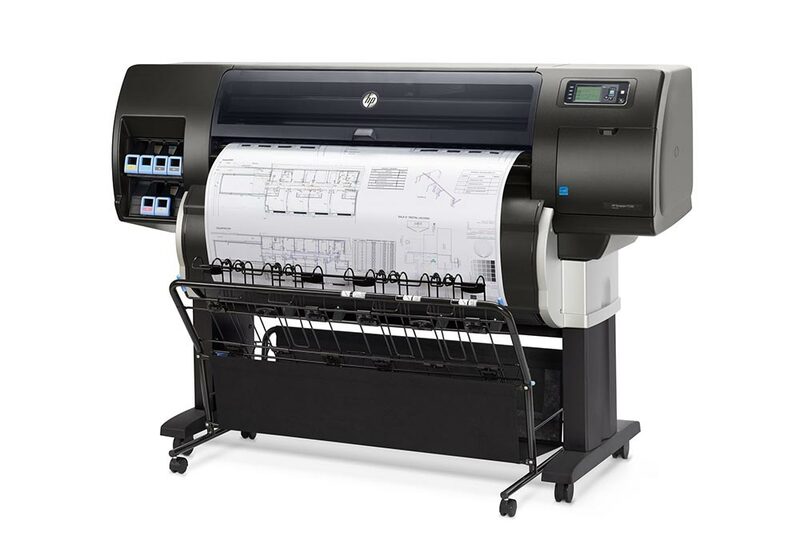 For professional CAD plan printing, GIS applications, photo printing and general office use we supply a comprehensive range of HP DesignJet printers (line printers): multi-function, production, photo production and PostScript. 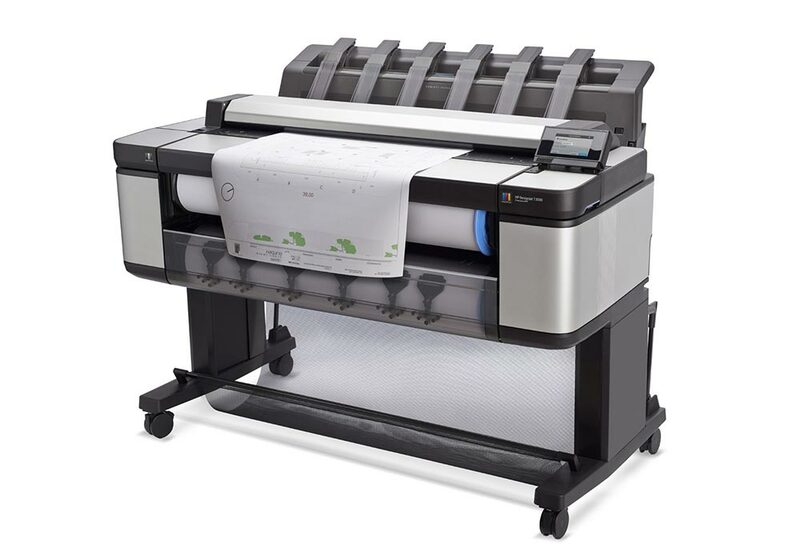 24-inch (610 mm) or 36-inch (914 mm) Wi-Fi connected line printers for CAD plan printing and general-purpose applications. Built-in B+/A3 tray and front loading media roll. Intuitive 4.3-inch (109 mm) color touchscreen. D/A1-size prints in 35 seconds. Four Original HP inks and long-life printhead. Easy printing from a smartphone or tablet. D/A1-size prints in 25 seconds. Four Original HP inks with cartridges from 40 ml up to 300 ml. Connect to your printer wirelessly or via Wi-Fi Direct. Four Original HP inks with cartridges from 40 ml up to 300ml. Built-in scanner at an unbeatable price. Automatic sheet feeder/tray and intuitive touchscreen. Connect to your MFP wirelessly or via Wi-Fi Direct. 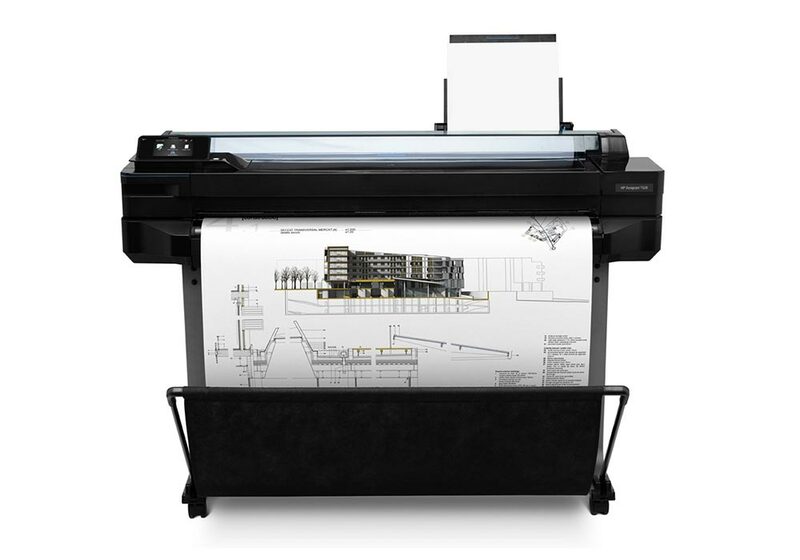 6-inch (914 mm), 6-ink line printers for professional-quality CAD and GIS applications. Integrated 50-page output stacking tray, true front roll loading. 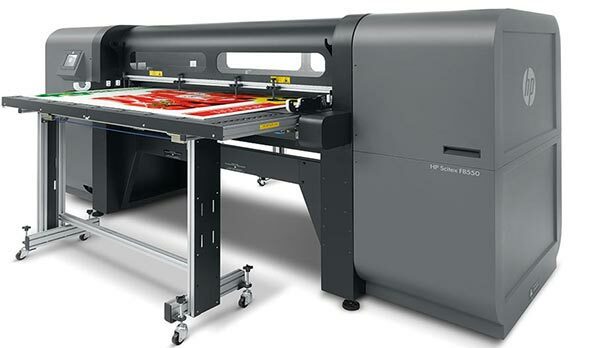 Up to E/A0 size; D/A1-size prints in 21 seconds. Six Original HP inks with cartridges up to 300ml. Parallel file processing with 64 GB virtual memory. Security protocols including IPSec, 802.1x, SNMPv3, PIN printing, and more. iOS and Android™³ compatibility with HP Mobile Printing. 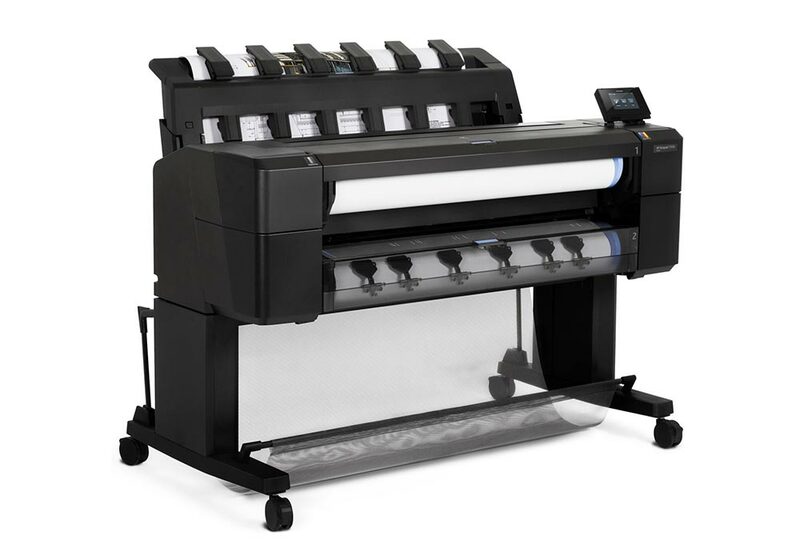 36-inch (914 mm), 6-ink, dual-roll line printers for professional-quality CAD and GIS applications. Integrated 50-page output stacking tray, true front two-roll loading. Print complex files fast with 96 GB virtual memory. 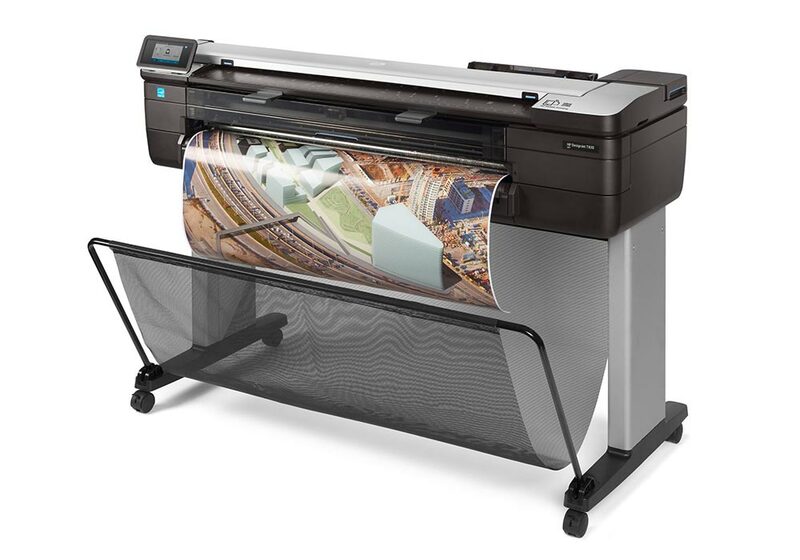 Integrated print/scan/copy—up to 2.5 inch (6.35 cm) per second colour scanning. Security protocols including IPSec, NTLMv2, SNMPv3, 802.1x, PIN printing, and more. iOS and Android™² compatibility with HP Mobile Printing. Up to four D/A1-size pages per minute. Six Original HP inks with high-capacity cartridges up to 775ml. Media bin and wide-range of compatible media. True PDF management with HP SmartStream software. High-volume printing at low cost of ownership. Integrated 100-page stacker and true front loading; supports up to two heavy rolls (650 ft/200 m). 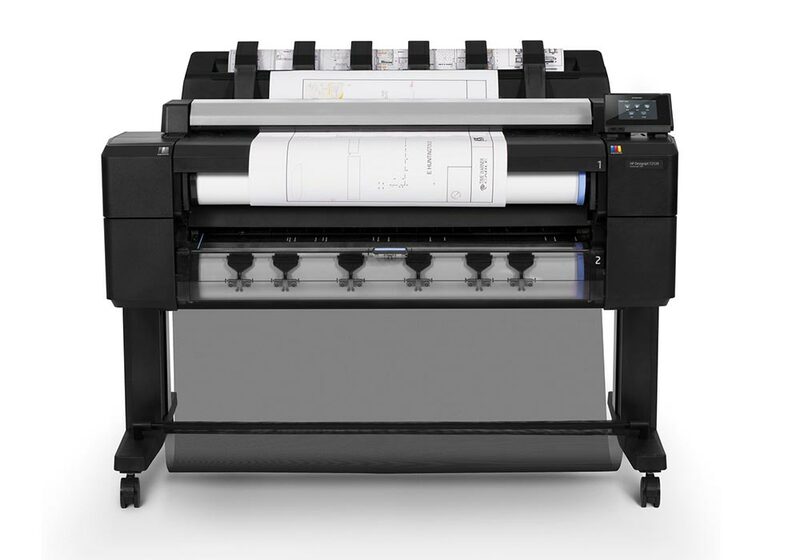 D/A1-size pages in 21 seconds; prints up to E/A0. Six Original HP inks up to 300ml. Ultra-fast processing and zero warm-up time. Two rolls with automatic media switching. 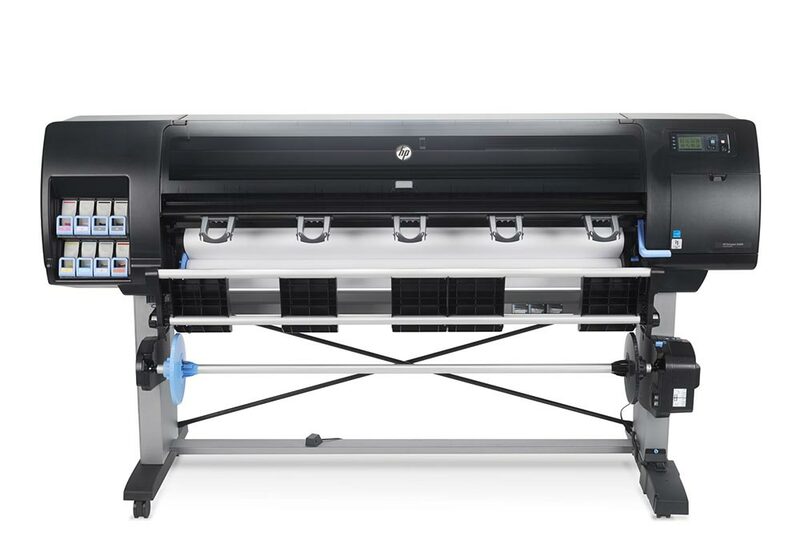 HP Multi-Dimensional Smart Drop Placement Technology. Up to 2400 x 1200 optimised dpi. 320 GB hard drive for high file-processing power. HP Optical Media Advance Sensor. Three shades of black HP ink. Built-in take-up reel for unattended prints. 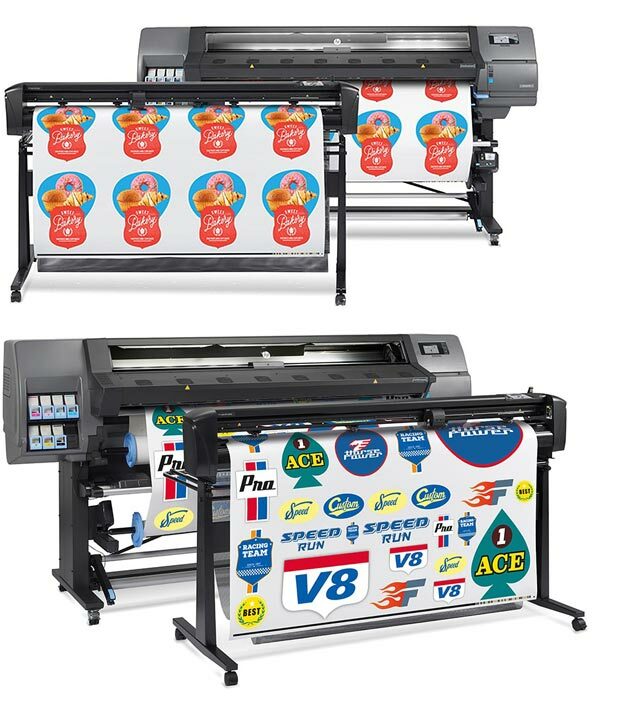 Fastest 60-inch (1524-mm) graphics production printer with 8 inks. Embedded spectrophotometer and colour center for accuracy and consistency. – Built-in B+/A3 tray and front loading media roll. – Intuitive 4.3-inch (109 mm) colour touchscreen. 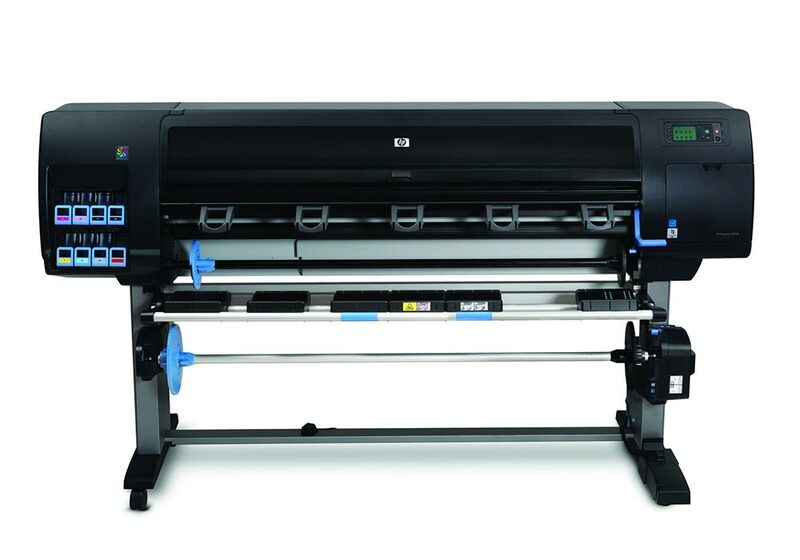 – D/A1-size prints in 35 seconds. – Four Original HP inks and long-life printhead. – Easy printing from a smartphone or tablet. – Intuitive 4.3-inch (109 mm) color touchscreen. 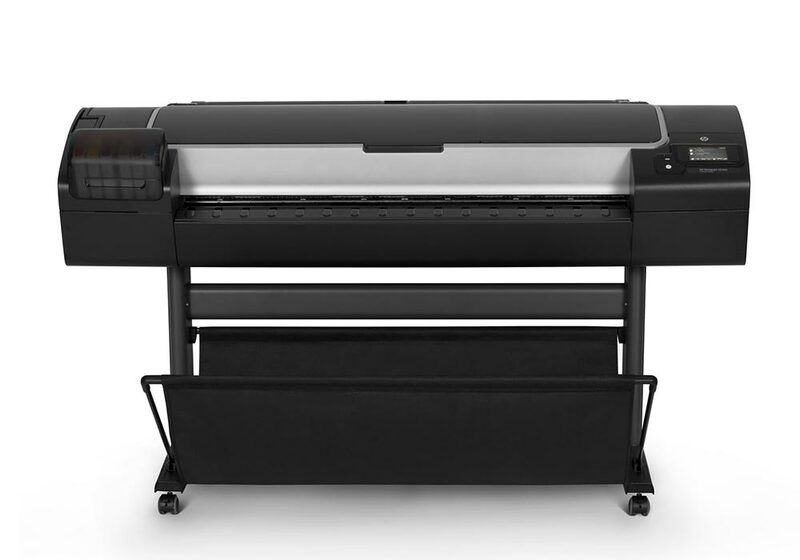 – D/A1-size prints in 25 seconds. – Four Original HP inks with cartridges from 40 ml up to 300 ml. – Connect to your printer wirelessly or via Wi-Fi Direct. – Four Original HP inks with cartridges from 40 ml up to 300ml. – Built-in scanner at an unbeatable price. – Automatic sheet feeder/tray and intuitive touchscreen. – Connect to your MFP wirelessly or via Wi-Fi Direct. – Integrated 50-page output stacking tray, true front roll loading. 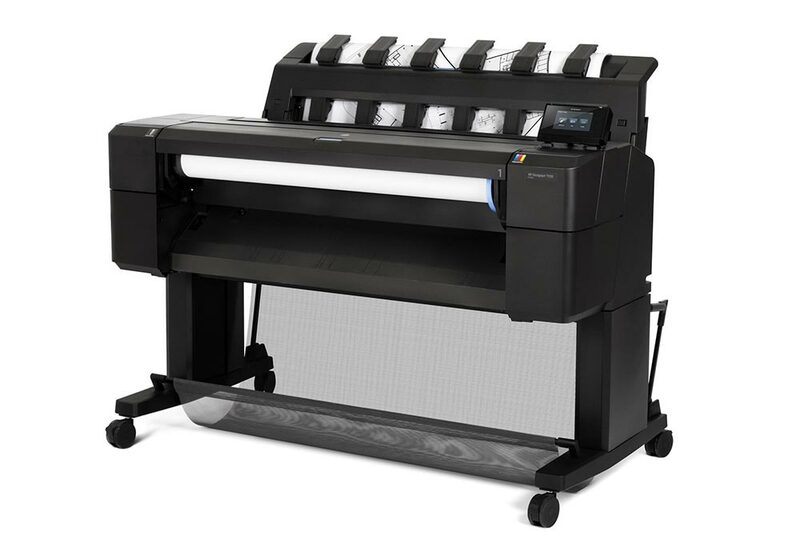 – Up to E/A0 size; D/A1-size prints in 21 seconds. – Six Original HP inks with cartridges up to 300ml. – Parallel file processing with 64 GB virtual memory. – Security protocols including IPSec, 802.1x, SNMPv3, PIN printing, and more. – iOS and Android™³ compatibility with HP Mobile Printing. – Integrated 50-page output stacking tray, true front two-roll loading. – Print complex files fast with 96 GB virtual memory. 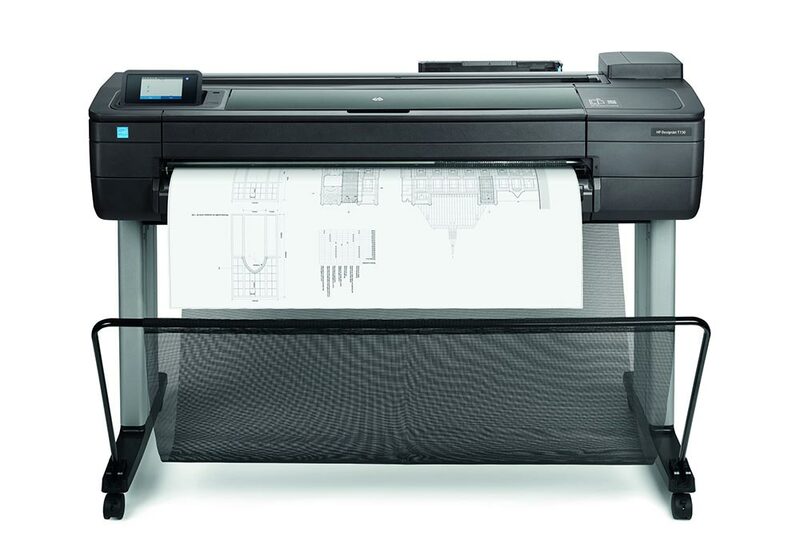 – Integrated print/scan/copy—up to 2.5 inch (6.35 cm) per second colour scanning. – Security protocols including IPSec, NTLMv2, SNMPv3, 802.1x, PIN printing, and more. – iOS and Android™² compatibility with HP Mobile Printing. – Up to four D/A1-size pages per minute. 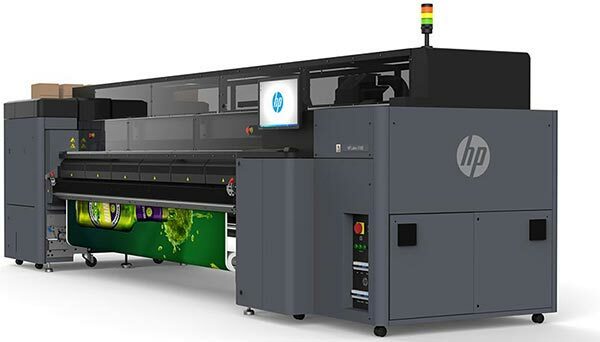 – Six Original HP inks with high-capacity cartridges up to 775ml. 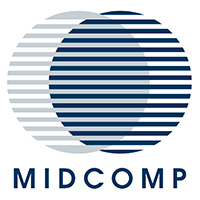 – Media bin and wide-range of compatible media. – True PDF management with HP SmartStream software. – High-volume printing at low cost of ownership. – Integrated 100-page stacker and true front loading; supports up to two heavy rolls (650 ft/200 m). – D/A1-size pages in 21 seconds; prints up to E/A0. – Six Original HP inks up to 300ml. – Ultra-fast processing and zero warm-up time. – Two rolls with automatic media switching. – HP Multi-Dimensional Smart Drop Placement Technology. – Up to 2400 x 1200 optimised dpi. – 320 GB hard drive for high file-processing power. – HP Optical Media Advance Sensor. – Three shades of black HP ink. – Built-in take-up reel for unattended prints. – Ergonomic media loading table. – Embedded spectrophotometer and colour center for accuracy and consistency.